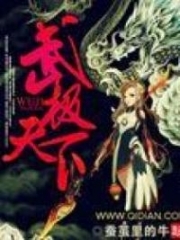 You’re reading novel The Demonic King Chases His Wife: The Rebellious Good-for-Nothing Miss Chapter 1588 online at LightNovelFree.com. Please use the follow button to get notification about the latest chapter next time when you visit LightNovelFree.com. Use F11 button to read novel in full-screen(PC only). Drop by anytime you want to read free – fast – latest novel. It’s great if you could leave a comment, share your opinion about the new chapters, new novel with others on the internet. We’ll do our best to bring you the finest, latest novel everyday. Enjoy! Having an Emperor ranked Apothecary as a master really made people jealous, hate and admire ah. "Little Shadow, you seem to have forgotten a matter." Looking at Beichen Ying who was immersed in his own world and having a hard time getting out of it. Su Luo's mouth suddenly hooked up as if harboring evil intentions. "What…." Suddenly remembering something, Beichen Ying's large pretty eyes twitches uncontrollably. "Looks like you remembered. Then you won't need me to remind you. Go, go." Su Luo pushed Beichen Ying towards Zi Yan. "This….that…." Seeing Zi Yan was almost within reach, steam came out from the tip of Beichen Ying's ears, his face gradually turning red. "What ghost are you guys setting up?" Zi Yan's suspicious gaze swept between the two people. "Nothing, nothing." While Beichen Ying retreated back, he made hand gestures towards Su Luo. "Okay, first I'll let you off." Su Luo was all smiles as she had one leg crossed over the other. She didn't believe Beichen Ying would be able to escape from this every time. "You guys?" Zi Yan speechlessly looked at the two of them. "If you are curious, then just go ask Beichen, he will certainly tell you." Su Luo's words aroused Zi Yan's curious heart. Zi Yan, seeing if she remained she would become a third wheel, she smiled towards Su Luo: "Okay, then the two of you should reminisce properly." Finished speaking, Zi Yan slipped away with flying speed. Such a huge courtyard, only Nangong Liuyun and Su Luo remained. Nangong Liuyun sat on the braided chair, the bright and beautiful sunlight sprinkled down, enveloping his well-proportioned body in a layer of golden light. He gave off a n.o.ble and out of the ordinary aura. Each pure white petal from the jasper flower flowed down gently in great numbers to land on his clothes. At this moment, he seemed even more graceful and honorable. His long arm extended, powerful and strong, as his arm drew Su Luo tightly into his embrace. He nestled into the bend in her shoulder and smelled the faint fragrance that came from her body. Only then did his body slowly relax. Nine days ago, he went out the door to look for her. Seeing she was just inside the other courtyard, but no matter what, he couldn't go in. Because Grandmaster Rong Yun set a restriction that separated it from this world, based on his cultivation, he simply couldn't remove it. A whole nine days, sunrise to sunset that alternated. He would motionlessly stand at the foot of the wall, standing there like a statue. This feeling of knowing she was inside but he couldn't see her no matter what made Nangong Liuyun taste defeat for the first time in his life. He knew that there were a lot of strong experts in this world, and that he still hadn't achieved the strength to do as he pleases. At the foot of the wall for nine days, Nangong Liuyun made a solemn vow. For this lifetime, he must stand at the summit of the strongest experts. This matter of being cut off and unable to see each other, he wouldn't allow it to reoccur. Now hugging her, smelling that familiar scent from her hair, Nangong Liuyun's heart gradually evened out. "What's wrong?" Su Luo's sharp perception sensed the difference in him, asking in a m.u.f.fled voice. "Luo Luo." Nangong Liuyun cupped her face that was the most beautiful in the world. His fingers delicately caressed her. His inklike starry eyes had a gentleness that others had never seen before. "Yes?" Su Luo's tight lips opened slightly. "We must not be separated again okay?" The always calm and composed Nangong Liuyun, whose expression wouldn't change even if Mount Tai collapsed in front of him, when he said this sentence, there was a trace of trembling in his tone. Nine days, a whole nine days he couldn't see her. It made him feel like a trapped beast close to the edge. That time, he thought of it again and again, if he didn't have Luo Luo in his life, then what would he do? As long as he thought of this question, the place closest to his heart on his chest would ache dully, a pin cus.h.i.+on-like burning pain. It was close to suffocating him. Just thinking of it would feel this painful to him. If it was to really happen, then what would he do? Therefore, Nangong Liuyun, who had no sense of security, drew Su Luo to him with his arms and tightly pressed her into his chest. You're reading novel The Demonic King Chases His Wife: The Rebellious Good-for-Nothing Miss Chapter 1588 online at LightNovelFree.com. You can use the follow function to bookmark your favorite novel ( Only for registered users ). If you find any errors ( broken links, can't load photos, etc.. ), Please let us know so we can fix it as soon as possible. And when you start a conversation or debate about a certain topic with other people, please do not offend them just because you don't like their opinions. You're reading The Demonic King Chases His Wife: The Rebellious Good-for-Nothing Miss Chapter 1588. This novel has been translated by Updating. Author: Su Xiao Nuan,苏小暖 already has 2943 views. Current Time is Apr-21-2019 02:21:32 AM.